Truly a loving, personalized gift and a great group charity item! 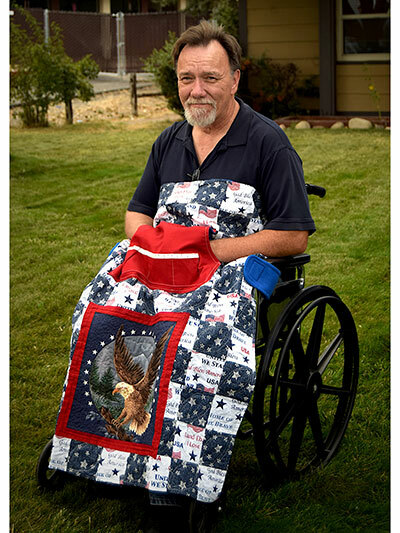 The best wheelchair quilt ever designed meets needs requested by patients, staff and caregivers alike. 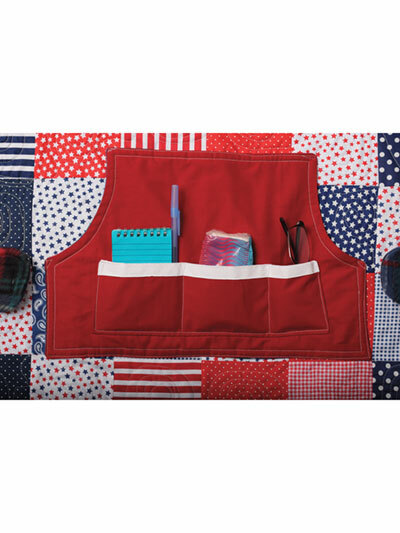 Providing independence and security to the user, it features pockets for hand-warming and personal items within easy reach. 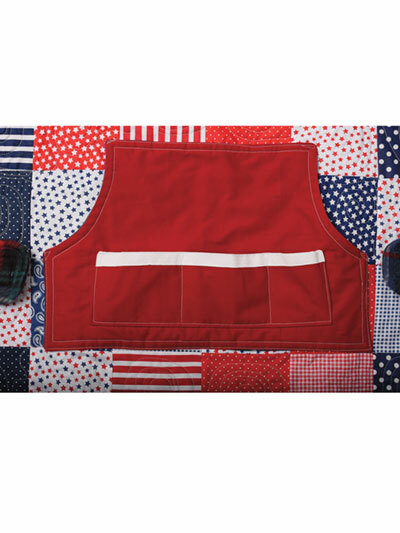 It also eliminates the need for carrying purses or pouches with a large, hidden security pocket in the back of the quilt. 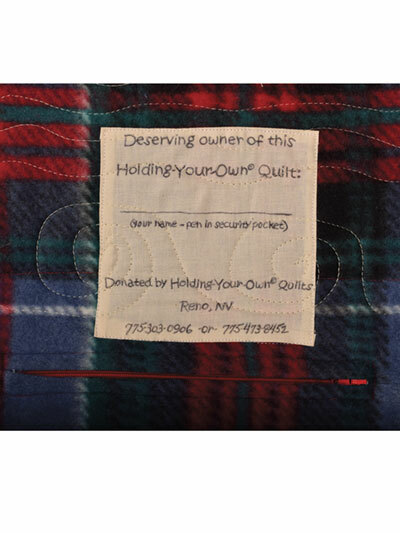 There is an ownership label on the back as well to be indelibly inscribed with the owner's name. Finished size: 31" to 33" wide x 38" to 42" long. 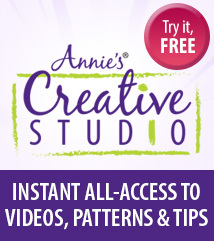 DO NOT WASTE YOUR MONEY ON THIS SO CALLED PATTERN! 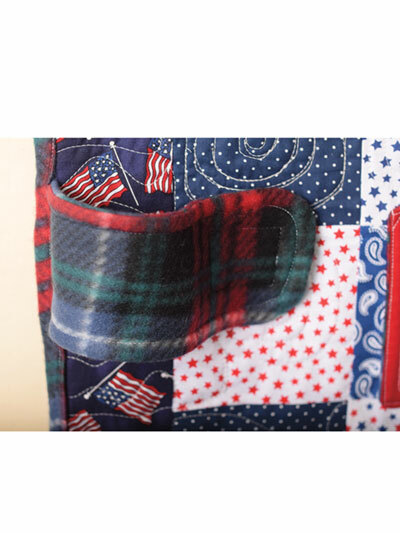 Only good details are for attaching the pocket and zipper for hidden pocket, which is pretty much worthless for most people in a wheelchair. 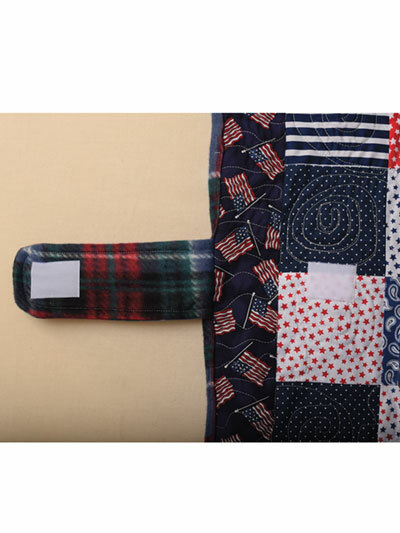 Would be nice to have some sort of pattern for the quilt top. Nothing was given other than square it to this size. Also would be nice to have something to go over the shoulders. My Mom is in a nursing facility and is always cold. Wished there was a lower rating! I expected more from this pattern. 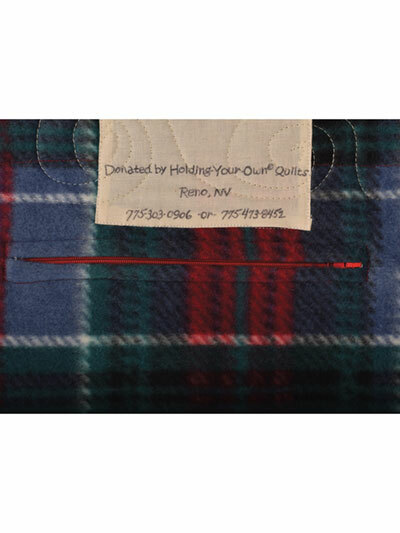 For the price of this pattern I was expecting some insight on how to customize a wheel chair quilt for a specific person and wheel chair. There are several different sizes of wheel chairs available. 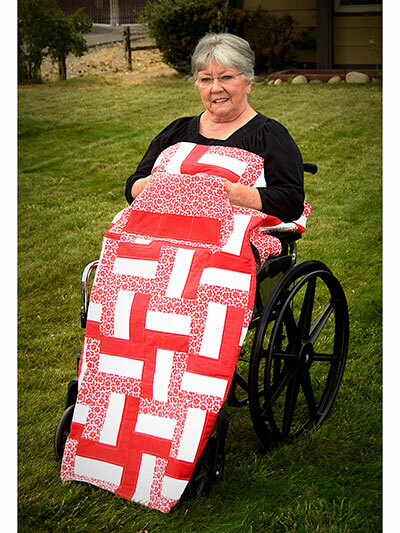 There could have been information concerning how to design the quilt/blanket not to get caught in the wheels of the chair or keeping the back of someones legs warm. 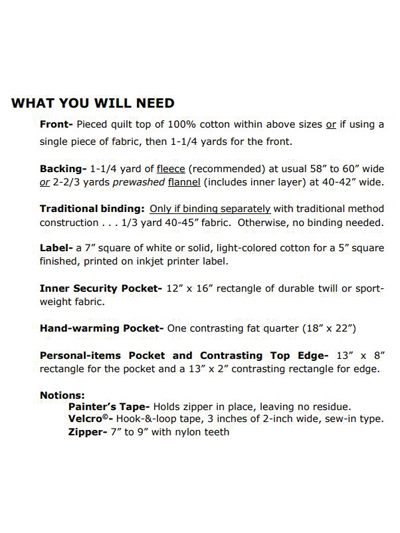 This pattern does not offer anything beyond making a basic rectangle quilt to a suggested size range with two velcro tabs. 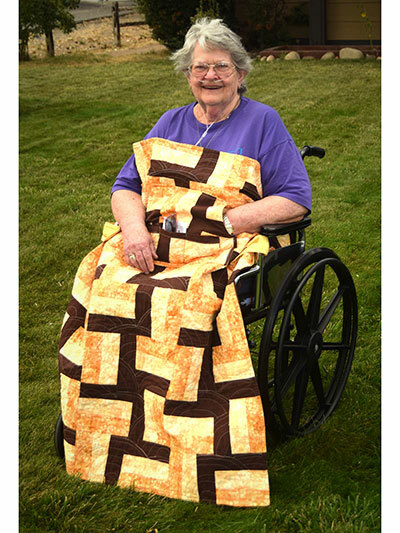 For me this pattern was a waste of money...I will have to resort to doing my own wheel chair research and figuring out on my own how to customize the quilt/blanket for my mother-in-law.